ATLANTA, GA (MAY 1, 2018) – Berkshire Hathaway HomeServices Georgia Properties today announced that Ed Smith has joined the company as Chief Financial Officer. Ed is an accomplished financial executive leading the financial operations of Fortune 500 companies down to small businesses with a specialization in transformation and optimizing processes & systems into workable solutions that help achieve corporate objectives. 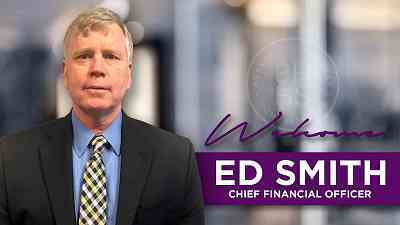 In his new role, Ed Smith will report directly to Dan Forsman, President & CEO. Ed was recruited to MCI post WorldCom bankruptcy to help lead the company out of bankruptcy by reengineering all Revenue and Accounts Receivable systems and procedures and leading over 550 accounting professionals in one of the largest bankruptcies and restatements in US history. With strong and proven technical skills, Ed targets productivity and process improvements demanding that controls, reliability and information availability remain at the forefront. Prior to joining Berkshire Hathaway Home Services Ed spent 7 years as the CFO of a small Atlanta telecommunications Company serving his last year there as acting Co-CEO. Ed has a well-balanced 35 plus year financial career including Accounting, Billing and Commissions Operations, Business and Capital Planning, Contract Management and SEC reporting. He holds a Master of Accountancy (MAcc) degree from the University of Georgia and is a Certified Public Accountant.